Jake Paul is an American personality, YouTuber and social media entrepreneur. He initially rose to fame along with his brother Logan on the social media platform, Vine. Although Vine has now shutdown, Jake gained millions of followers from the app, and used that audience to build his YouTube channel. As of 2019, Jake Paul’s net worth is $19 million. Let’s take a look at Jake Paul’s story, and how he’s managed to his impressive income at such an early age. Jake Paul was born on the 17th January, 1997, in Cleveland, Ohio. He grew up with his family in Westlake, and has an older brother Logan, who’s also a successful social media entrepreneur. Jake’s father, Greg, is a realtor, and his mother Pam is a nurse. 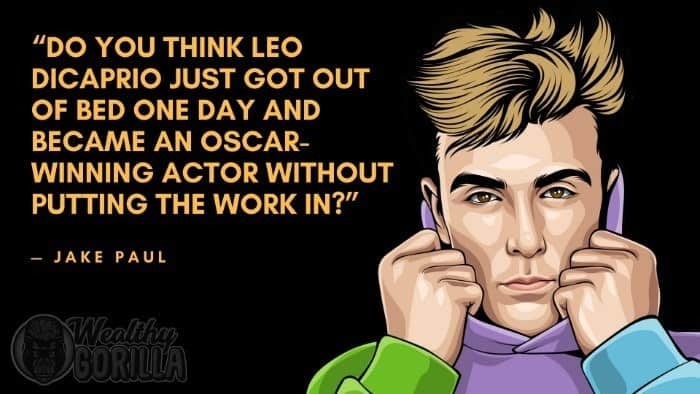 His brother Logan began creating videos from a very young age, and was achieving a good amount of success in doing so. 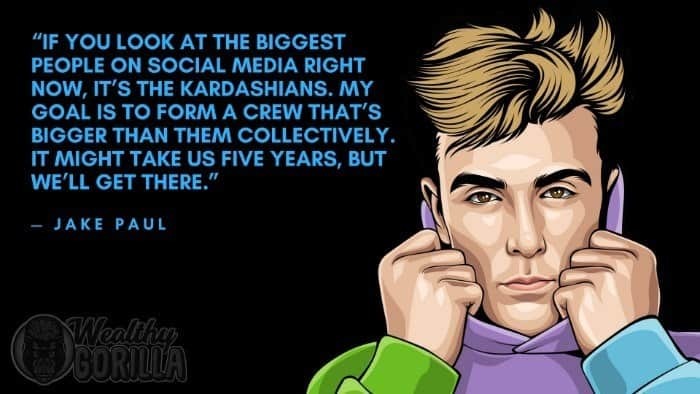 By the time Logan had begun pursuing a career in social media full time, Jake also saw the opportunity, and began creating his own videos as well. Jake began publishing videos on Vine in September 2013, when he was 16 years old. 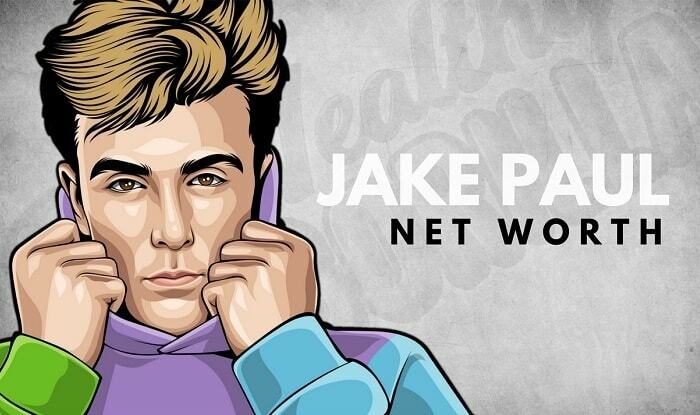 When the platform closed its doors, Jake had amassed over 5.1 million followers on the app, and his videos had been played a sensational 2 billion times! He then focused on YouTube, and created a Vlog channel, which to this day has over 11 million subscribers and 2.6 billion views. Now, he has his own marketing company called Team 10, and has dabbled in acting, including a regular part in Disney’s Bizaardvark. He’s also been interviewed on various TV shows and news outlets, and his company was invested in by Gary Vaynerchuk. Consistency is one of the keys Jake mentions in the above video. He said that he continued to put out videos regularly, even when hardly anybody was watching them. However, after doing this for 4 years, things eventually began to click; and he had enough experience to know what works, and what doesn’t. Jake’s motto is “You gotta want it”, which essentially means that you need to be investing your time in something you love, you’re passionate about, and that you want to succeed in badly. When the Vine platform closed down, Jake could have been completely de-motivated, and his following could have been destroyed. 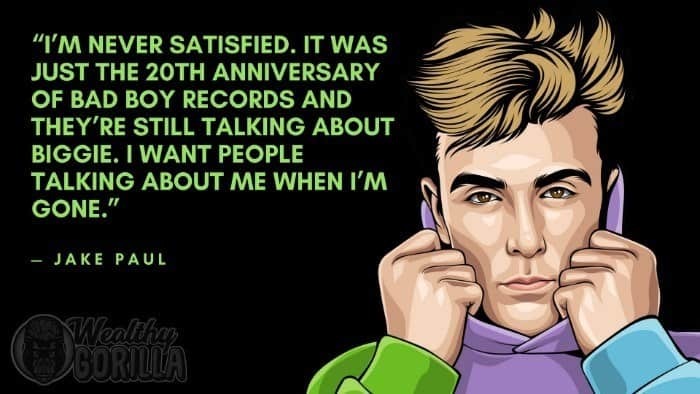 However, he was prepared to adapt, and so he already had begun making the transition over to YouTube, and was making other moves in his career. Jake Paul is a social media celebrity, and another of the up and coming new generation of entrepreneurs. As of 2019, Jake Paul’s net worth is estimated to be $19 million. What do you think about Jake Paul’s net worth? Leave a comment below.